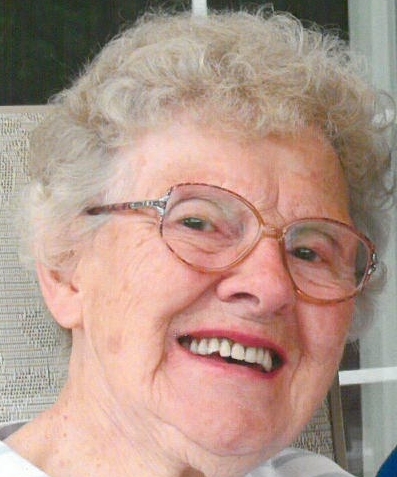 Obituary for Loretta M. (Lacher) Henderson | Hughes Funeral Home, Inc.
Age 99, of Troy Hill, peacefully on Thursday, July 19, 2018. Beloved wife of the late Regis Mills and James T. Henderson; stepmother of Kathy (Tom) Forbeck, Randy (Joanne) Henderson and the late Tom (Karen surviving) Henderson. Also survived by many step-grandchildren and step-great-grandchildren; sister of the late Margaret Harsch, Anthony, Louis, Leo, Clarence "Dan" and Regis Lacher; dear aunt of Judy Swierkosz, Aidan, Joaeph and Mary Ann Harsch, Catherine Engelsiepen, Richard, Leo, Regis and Randy Lacher. Family and friends received 4-8 p.m. MONDAY ONLY at the HUGHES FUNERAL HOME, INC. 1501 Lowrie Street, Pittsburgh, PA 15212-Troy Hill. Mass of Christian Burial will be celebrated on Tuesday at 10:30 a.m. in Saint Anthony's Chapel-Most Holy Name Parish-Troy Hill. Memorial contributions may be made to Saint Anthony's Chapel, 1700 Harpster Street, Pittsburgh, PA 15212.